Spacebreaker mixes game classics Space Invaders and Brick Breaker. The player must break all the blocks by bouncing balls off their paddle into the blocks. Hitting a surprised looking block rewards the player with an additional ball. 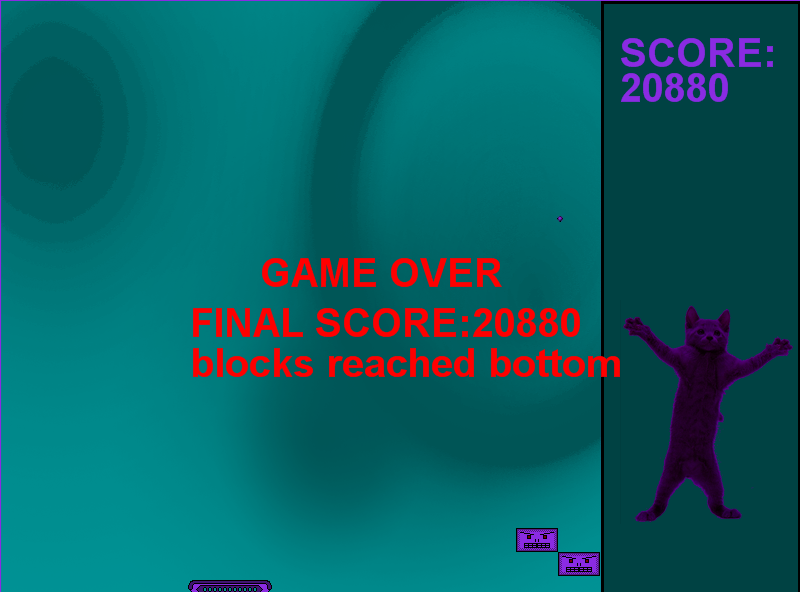 If the blocks reach the bottom or all the balls get past the player, game over. Spacebreaker was developed using XNA with C#, art was made using GraphicsGale. Spacebreaker was developed in under a week as an exercise.